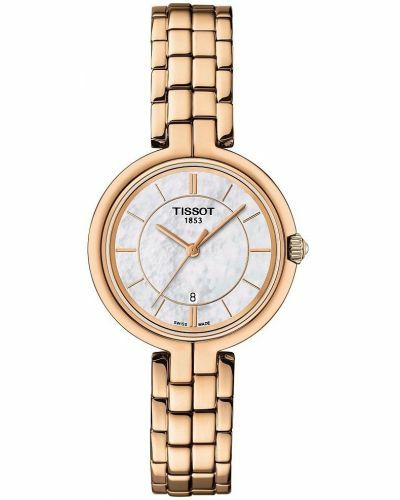 Women's Tissot Flamingo two tone rose gold plated dress watch with a round 26mm polished case. This watch h as a beautiful white Mother of Pearl dial highlighted by the stunning rose trimming and a date display window. This beautiful watches features a slim polished two tone gold plated bracelet with a push button deployment clasp. 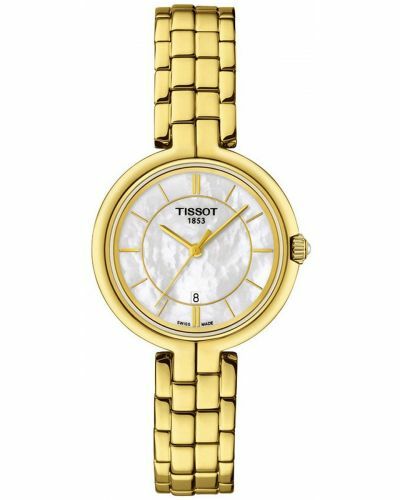 Powered by a Swiss quartz movement and comes with the Tissot 2 year guarantee. 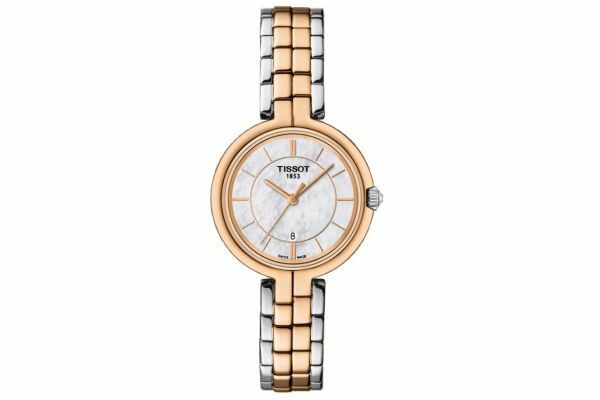 For us to size your new Tissot Flamingo watch as accurately as possible, please take a look at our downloadable Watch Sizing Guide.